If you are looking to support your immune system, mood, focus, and overall health essential oils are just truly amazing. If you ever smelled the uplifting scent of peppermint then you’ve experienced the aromatic effects of how it makes you feel. Essential oils carry biologically active volatile compounds in a very concentrated form that exhibit therapeutic benefits in very small amounts. These naturally occurring volatile aromatic compounds are found in the seeds, bark, stems, roots, flowers, and other parts of plants. In nature, essential oils play an important role in the protection of plants. Some benefits of these oils are due to the fact that most oils have antioxidant, antimicrobial and anti-inflammatory properties. They can be used for emotional, physical wellness applications and have been long used for food preparation, beauty treatment, health-care applications as well as natural cleaning products. Promotes an uplifted mood and feelings of clear breathing & open airways. Can be beneficial for skin. Cleansing & rejuvenating effect on the skin. Diffuse to purify & refreshen the air. Helps reduce appearance of blemishes. Used for it's calming and relaxing qualities, soothes occasional skin irritations, reduces the appearance of skin imperfections. Visit www.mydoterra.com/staceydiverde and click “join & save” to become a wholesale customer or click “shop” to purchase retail. If you have any questions, please contact me. FACT: The unique structural properties of essential oils, because of their tiny molecular structure, allow them to be active both on the surface as well as reach inside the cell. 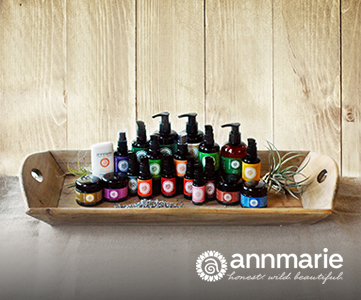 Essential oils attack the harmful bacteria, allowing our body’s friendly flora to flourish. One drop of essential oil contains enough molecules to cover every cell in our bodies. These oils have multiple health benefits and growing in popularity because they have no side effects. As essential oils are increasingly being explored by the scientific community, we are developing a greater understanding of human wellness and their relevance to our health than ever before. Especially with the increasing resistance of microorganisms to conventional chemicals and drugs that has become a serious and evident worldwide problem. Essential oils can be used in variety of ways such as diffused, added to your bath, used for personal beauty and natural wellness application, some oils can be applied topically, added to food and used for non-toxic cleaning in your home! In today’s world of chemicals that are ladened in skin care products, it’s hard to find a product that not only works beautifully but is actually good for you and your skin. I’ve been following Anne Marie’s husband Kevin for many years on his Renegrade Health show. Way before the Anne Marie Gianni line came to fruition. They practice what they preach and follow healthy lifestyles themselves. The care and dedication they have put into the integrity of the product formulations are bar-none! It’s rare when you find a product that is completely organic, chemical-free and stands up to really making a difference on your skin. Just one application and I swear you will be hooked alone from the scent which is made from all natural, organic wild crafted essential oils and ingredients. Your skin is your largest organ and what you put on it should be chemical-free. Many other skin care lines have 1,000’s of chemicals that should not belong there. The sad part is you won’t find half of those chemicals in other countries but you will find them here in the U.S. We need to take a stand for our health. All these chemicals disrupt your hormones and ultimately your health! I’ve been using their products for many years and I want to share it with you so you too can experience better skin and health. Click here to try a sample of this award winning, natural skin care line.